In the midst of swimming my heart out, 12/31/2018. Photo courtesy of Erika Lilley. “T, you get in the middle.’ My coach instructed after we completed 9,100 yards of our 10,000 yard SoCal TeamSFQ swim workout on New Year’s Eve. Next, she climbed into the lane I shared with my friend, teammate, and super-swimmer, Erika, ‘Now we’re going to have some fun.” We did. 2018 was by far my favorite year of the 39 or so I have lived. It was a year of celebration. I worked hard all year training and preparing for monumental races, but every moment felt like a precious, slippery stone I couldn’t believe I was holding and was afraid to drop. I never felt the usual feelings in years past training blindfolded trying to achieve the unknown; I knew what the entire year looked like before it even started. Still, none of it turned out how I thought it would. It was better. Top, yours truly and my sister Sarah, AKA, two Boston marathon 2018 finishers. Bottom left, a soaked runner nearly to the finish. Bottom right, my brother Bo and his AMAZING wife, Carly, who flew in from Nicaragua to watch us run. The photographers were my fantastic father and step mom, Sally, the ones who started all of the running in our family. 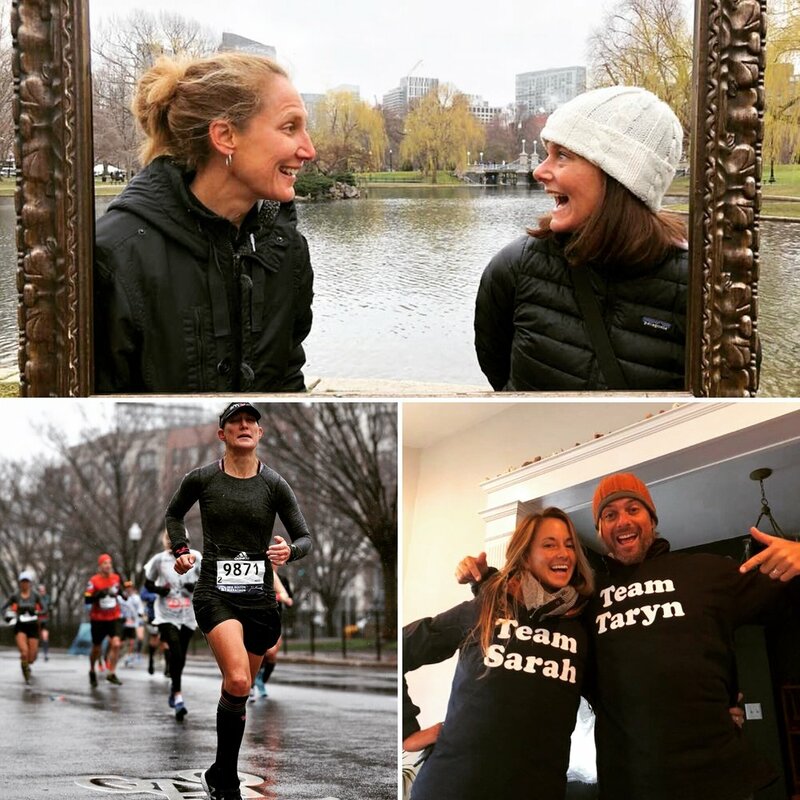 Running the Boston marathon was a mess. Literally. I didn’t achieve the time I wanted, (although the life points earned that entire weekend with my family surpassed ALL expectations), but I only finally shook off the “Runner T” chip on my shoulder while running the New York City marathon over six months later. That was race was meant to be a fun, end of the year romp visiting friends and running around the Big Apple, instead it morphed into the absolute best run of my life, and gave me a quick flash into what I know I can still achieve as a runner. Nearly done with the marathon, completely aware this was the race of my life. So far. 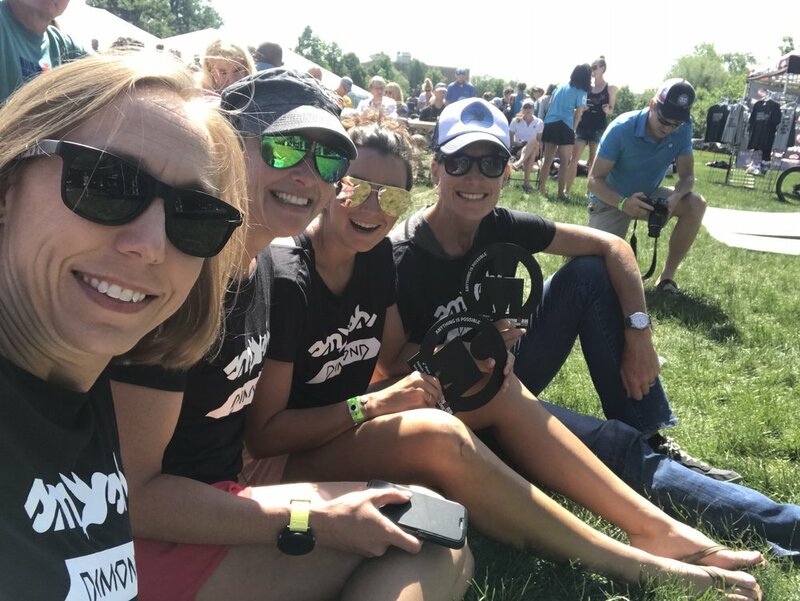 In the mean time, I raced a blazing hot and hearty Ironman in Boulder, CO, where I shared time on and off the course with my teammates, AND best friends in the world. Much like the countless other life-altering experiences I have lived in Boulder, that experience made an impression. My best friends on earth, from left, Emily Tweten, a sweaty Ironwoman, and Hadara Katarski. I’ll be back racing the Ironman in June. My TeamHPB and TeamSFQ teammates, from left, Amy Hite, Mary Knott, Lauren Palmer, and a CU Alum. My recent speaking gig at my Alma Mater, El Roble Jr. High School. It is incredible to have his support in all of this, especially when I lose sight on what this is? He always shines a light on my purpose, gives me a hug and high five, and tells me to, “keep going.” I still can’t believe I married a Texan, but I am so glad I did. Black-tie date night at the Emmy’s in September. The entire week in Kona was magical. 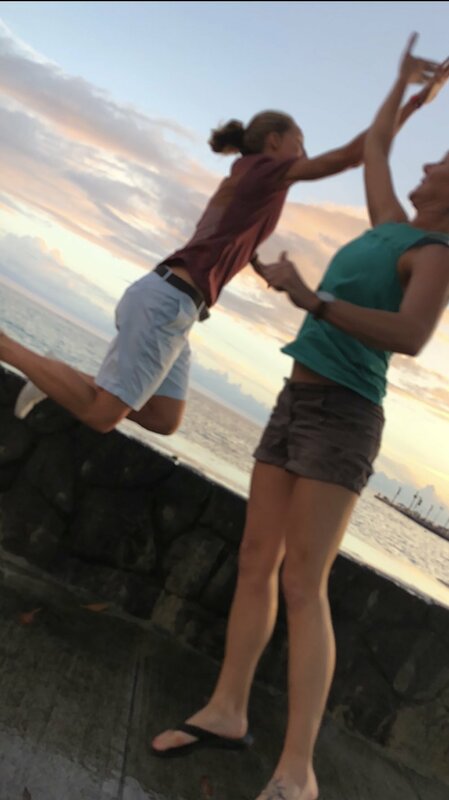 Hawaiian sunset high-five with my sister and team captain, Sarah Fox. I am thankful that I have such a great memory, because I don’t want to ever forget a second of it. I didn’t go into the race with huge expectations, but I was still disappointed. I think that is simply the blessing and curse of being a competitor. Still, I wouldn’t change a thing. It was exactly how it should’ve been, good enough to want to go back. Some day. Almost finished, on the verge of tears, and ready for the race to be over. This time. The final week of the year was the most telling. It was awesome, sad, wonderful, inspiring, and FUN! On the last day of the year, (yesterday), I swam 10,000 yards, (maybe more), in a pool alongside my coach and teammates, (the last few laps sandwiched between an Ironman Champion and a top age-group swimmer racing a handful of 25 yard sprints), which served as the ultimate celebration of 2018 and fitting bridge into what I believe 2019 will be, challenging and joyful. This song is a repeat, BUT the video is new, and it awesome! !